Realtor.com has released its latest ranking of the 20 hottest real estate markets for May 2016, and homes are selling at record paces last seen when the housing recovery first begin. The median list price in May was $250,000, up two percent from April, and nine percent from the previous year. Data from Realtor.com shows homes in May spent a median of 65 days on the market, which remains unchanged from a year ago, and three days faster than April. The spring selling season continues to blossom for homebuyers, as more than 550,000 property listings were added to the market in May, a four percent increase. Inventory remains scarce, however, as the number of listed properties is still four percent lower than a year ago. A lack of inventory can be blamed on regulatory fees, which is pushing the cost of building a home. Compliance with federal, state and local regulations has driven the price of a home by 30 percent over the past five years, according to the National Association of Home Builders. Despite limited housing supply, pending home sales in the U.S. continue to increase and were up 4.6 percent in April — their highest level since 2006. In addition, new figures released last week show new home sales surged 16.6 percent at a seasonally adjusted annual rate of 619,000 in April — its highest since the start of 2008. The month of May was red hot for real estate markets. California continued its dominance with 10 spots, including the top honer on the list, while newcomers like Detroit, MI and Eureka, CA made the top 20 cut. “It’s a very affordable market now, benefiting from economic growth and a bit of renaissance,” said Smoke. Ranked #15 in April, Raleigh, North Carolina dropped five spots to #20 in May. Ranked #31 in April, Detroit, Michigan gained 12 spots to reach #19 in May. Ranked #19 in April, Modesto, California gained 1 spot to reach #18 in May. Ranked #11 in April, Boston, Massachusetts dropped six spots to reach #17 in May. Ranked #37 in April, Eureka, California gained 21 spots to reach #16 in May. Ranked #7 in April, Santa Cruz, California dropped eight spots to reach #15 in May. Ranked #17 in April, Fort Wayne, Indiana gained three spots to reach #14 in May. Ranked #12 in April, Colorado Springs, Colorado dropped one spot to reach #13 in May. Ranked #29 in April, Kennewick, Washington gained 17 spots to reach #12 in May. Ranked #9 in April, Ann Arbor, Michigan dropped two spots to reach #11 in May. Ranked #10 in April, Columbus, Ohio remained unchanged in May. Ranked #5 in April, San Jose, California dropped four spots to reach #9 in May. 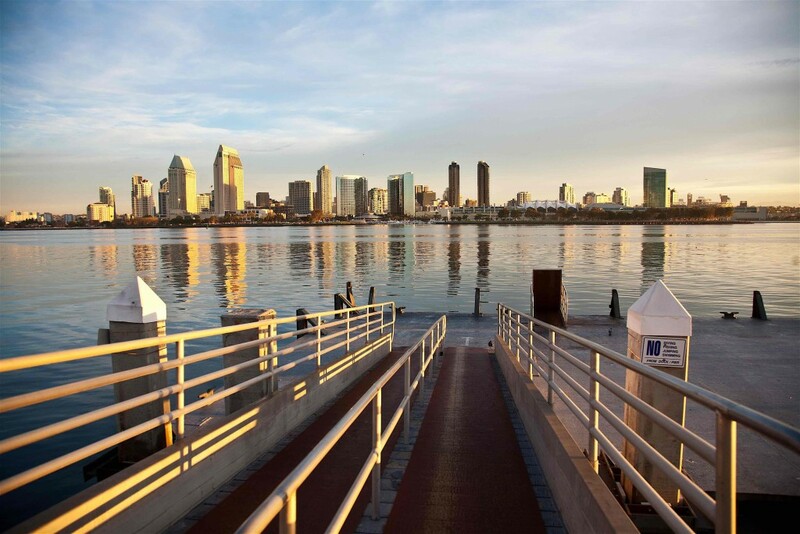 Ranked #13 in April, San Diego, California gained five spots to reach #8 in May. Ranked #8 in April, Sacramento, California gained one spot to reach #7 in May. Ranked #6 in April, Dallas, Texas remained unchanged in May. Ranked #14 in April, Stockton, California gained nine spots to reach #5 in May. Ranked #4 in April, Santa Rosa, California remained unchanged in May. Ranked #3 in April, Denver, Colorado remained unchanged in May. Ranked #1 in April, San Francisco, California dropped one spot to reach #2 in May. Ranked #2 in April, Vallejo, California gained one spot to reach #1 in May.